Steeped in mystery, sophistication and virility, Dolce & Gabbana takes us on an olfactory voyage to the depths of the Middle East, teasing the senses with masculine accords and a fusion oriental, woody and musky notes. An exclusive edition that emerged in 2015 on the tail of the brandâ€™s The One for Men narrative and encased in a sleek glass flacon with the same clean geometric lines that mirrors its predecessors, Dolce & Gabbana The One Men Royal Night Eau de Parfum unleashes fresh, herbaceous notes of Basic and Cardamom. Unfolding into accords of Pear Wood and warming Nutmeg, the alluring fragrance settles on soft, woody hints of Amber, Cedarwood and Sandalwood. Top Notes: Cardamom, Basil. Heart Notes: Wild Pear, Nutmeg. 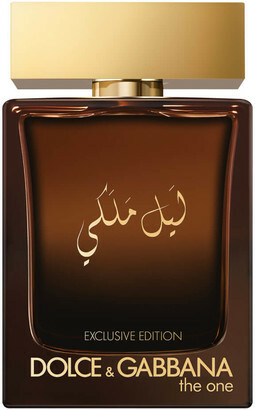 Base Notes: Amber, Cedarwood, Sandalwood, Cistus Labdanum.